Lib Tech's Attack Banana HP might just be the evil twin to the skate banana. 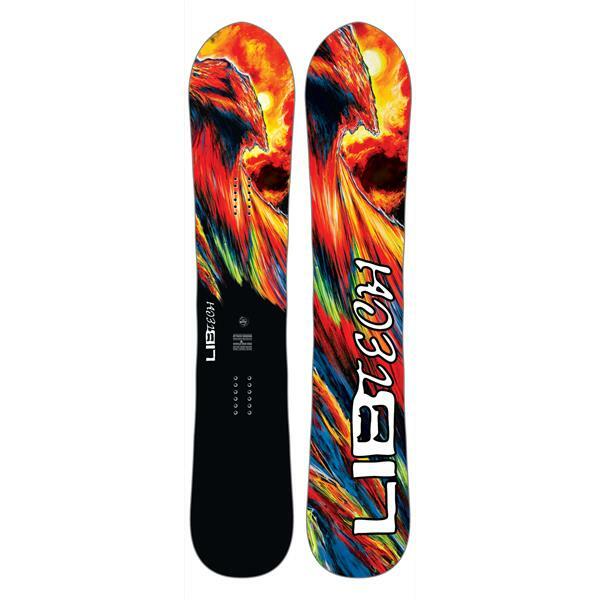 Featuring Lib Tech's C2e Camber Profile, which offers a slight reverse camber zone between the bindings and a longer regular camber zone outside the bindings, for added pop and power to the deck. Like a serrated steak knife, Lib Tech's Magne-Traction® edge has multiple contact points, for added edge hold on hardpack and icy surfaces. Basalt additives in this core make sure this board can handle anything you throw at it. All finished off with a high end sintered base, to showcase a strong construction, and a fast ride. The Attack Banana HP is ready to be unleashed on the mountain, all it needs is you.